Free electrical safety checks are being offered to County Durham residents. Durham County Council is working with Age UK to offer free testing of small electrical appliances, such as kettles, irons, electric blankets and Christmas lights. • Thursday 17 October – Sedgefield Library, Front Street, Sedgefield. • Thursday 24 October – Chilton Library, Durham Road, Chilton. • Friday 25 October – Healthworks, Paradise Lane, Easington Colliery. • Thursday 31 October – Bishop Auckland Library, Woodhouse Close, Bishop Auckland. • Thursday 7 November – Trimdon Library, Church Street, Trimdon Station. All of the events will take place between 10am and 12.30pm. Joanne Waller, head of environment, health and consumer protection at Durham County Council, said: “Electrical products can deteriorate with use or as a result of poor repairs and maintenance. The events are being run in partnership with Age UK as part of the organisation’s annual winter warmth events. 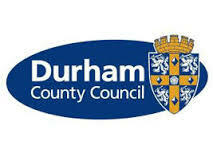 People can get further information by contacting Durham County Council on 03000 261 016.